Perfect conditions again greeted the competitors for Thursday evening's qualifying session at the 2015 Isle of Man TT Races, fuelled by Monster Energy. 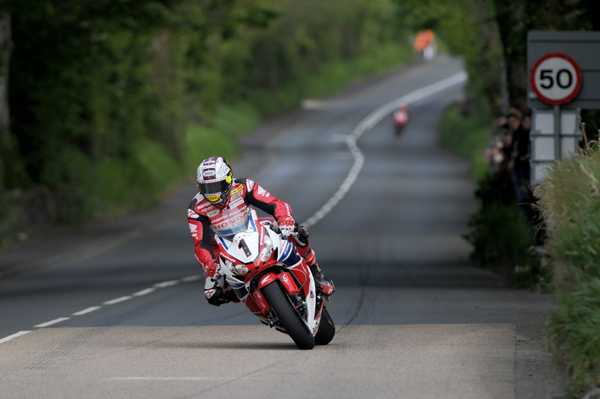 It proved to be a superb night for speeds with Ian Hutchinson and John McGuinness both lapping at more than 130mph. The session got underway at 6.24pm with the only slight issue for riders being a damp patch at Laurel Bank. Hutchinson (PBM Kawasaki) and Michael Rutter (Penz13.com/Bathams BMW) were first away followed by the Tyco BMW pairing of Guy Martin and William Dunlop, Gary Johnson (GBMoto Kawasaki) and Michael Dunlop who was out on his MD Racing Superstock BMW. Lee Johnston, James Hillier and David Johnson were also out on their Superstock machines with the likes of Bruce Anstey, John McGuinness, Dan Kneen and Dan Stewart all on board their Superbikes. Ian Hutchinson was first back at 129.793 followed by Rutter (127.896), Martin (128.504) and William Dunlop (128.139). Anstey and McGuinness slotted into second and third in the Superbike class though with laps of 129.139 and 128.642 respectively whilst Michael Dunlop was clearly happy to be back on his BMW as he was comfortably the quickest Superstock machine at 128.447mph. The whole field were capitalizing on the excellent conditions all round the course and Hutchy continued to blaze a trail at the head of the field, utilising the clear track he had in front of him. Indeed, he was the first to break the 130mph barrier at TT2015 on his second lap with a speed of 130.266. Anstey was just over two seconds slower at 129.957 but McGuinness was quicker at 130.030, his lap 1.8s slower than Hutchinson. William Dunlop reeled in team-mate Martin to go fourth quickest at an impressive 129.419 with the Lincolnshire rider slightly slower at 128.963. Rutter was also going well on his BMW with a lap of 128.529 while Conor Cummins was the only other rider to break the 128mph barrier. Jamie Hamilton continued to impress with a lap of 127.752, comfortably his best ever of the Mountain Course, with last year's best newcomer Peter Hickman upping his pace to 126.122. Ryan Kneen again shone with a speed of 125.441 whilst Alan Bonner, a newcomer in 2014, shot up the leaderboard with an excellent lap of 125.235. 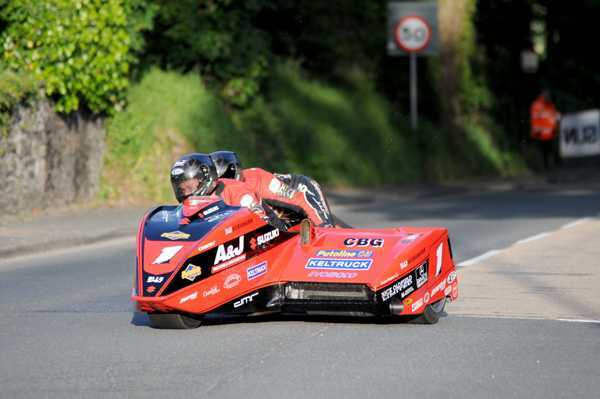 Another notable performance came from Sam West, a newcomer at last year's Manx Grand Prix, with his speed being 121.284. 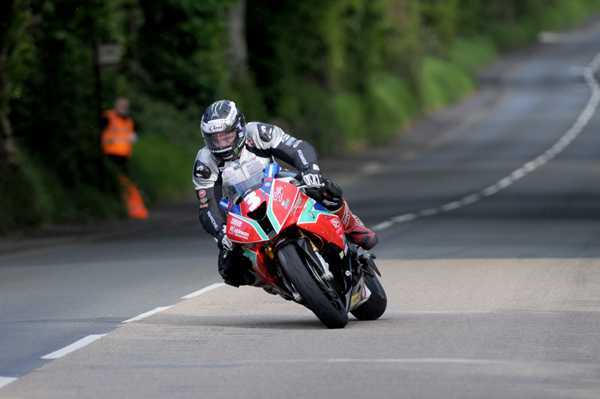 In the Superstock class, Michael Dunlop increased his pace second time around to 129.659, which was the fourth fastest lap of the night, with Hutchinson jumping up to second on 128.308 and David Johnson into third on 127.470. Newcomers Derek McGee and Tom McHale improved further too with laps of 119.033 and 117.248 respectively. At 7.05pm, the second solo session, for Supersport and Lightweight machines, got underway but shortly afterwards it was red flagged due to an incident at Ballagarey involving Roy Richardson who was on his lightweight machine. He was taken by airmed to Nobles hospital where he was reported to have leg injuries. Some Lightweight riders did complete their lap and after a delay the session was restarted with one more solo lap. Gary Johnson was quickest in the Supersport class with a speed of 124.307 on the Mar-Train Yamaha with Anstey the only other rider over 124mph. William Dunlop was third with Dean Harrison, Ian Hutchinson and Lee Johnston completing the top six. Ryan Farquhar continued to set the pace in the Lightweight class at 117.432 as he chases his fourth TT win, with Ivan Lintin (116.804) and Jamie Hamilton (115.538) in second and third. James Cowton, Daniel Cooper and Michael Sweeney completed the top six with Rutter getting his first full lap in on the Paton at 111.588. McGee again impressed at 111.254. 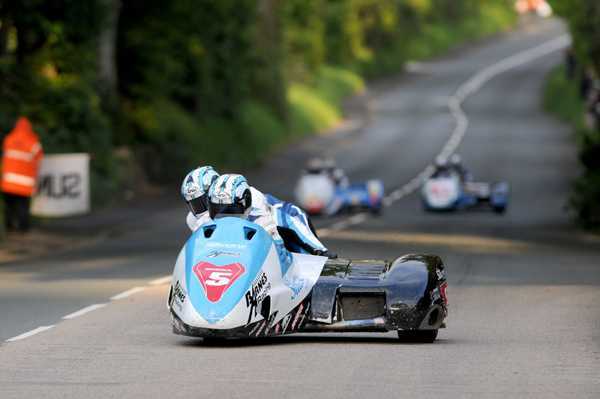 As a result of the earlier delay, the sidecars had their session slightly shortened but when it did commence, Dave Molyneux/Ben Binns set the early pace with a lap of 114.291. Ben and Tom Birchall were next over the line at 113.072 but John Holden/Dan Sayle upstaged them all by going quickest at 114.742, five seconds faster than Molyneux. Tim Reeves/Patrick Farrance slotted into third at 113.720 as Conrad Harrison/Mike Aylott and Ian and Carl Bell also lapped above 110mph. Last year's quickest newcomers, Alan Founds/Tom Peters, were also going well with their opening speed being 108.163. Second time around Molyneux stopped at Kerromoar and Reeves and Birchall were practically inseparable at 113.966 and 113.922 respectively. Harrison improved to 111.533 with the Bells not too far behind at 110.933. Gary Bryan/Jamie Winn placed sixth at 109.398 with Founds improving second time around to 108.986.